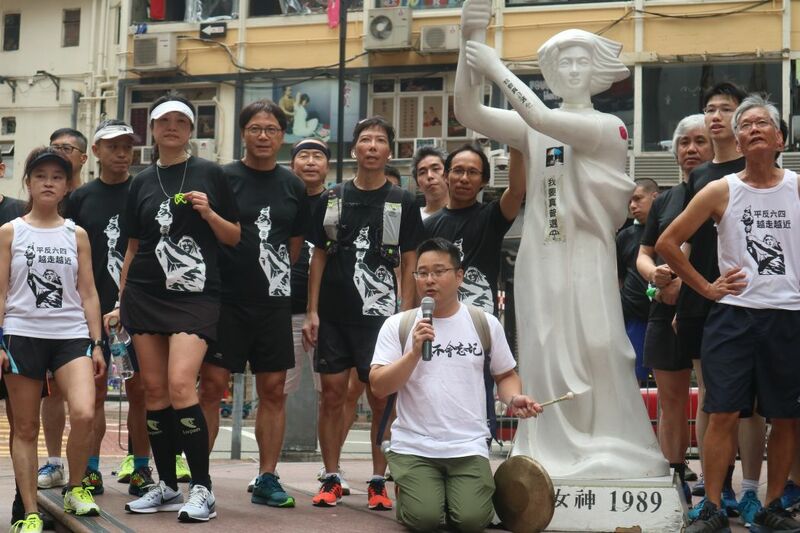 Hong Kong activists held a commemorative run on Sunday ahead of the 30th anniversary of the Tiananmen Square massacre in June. 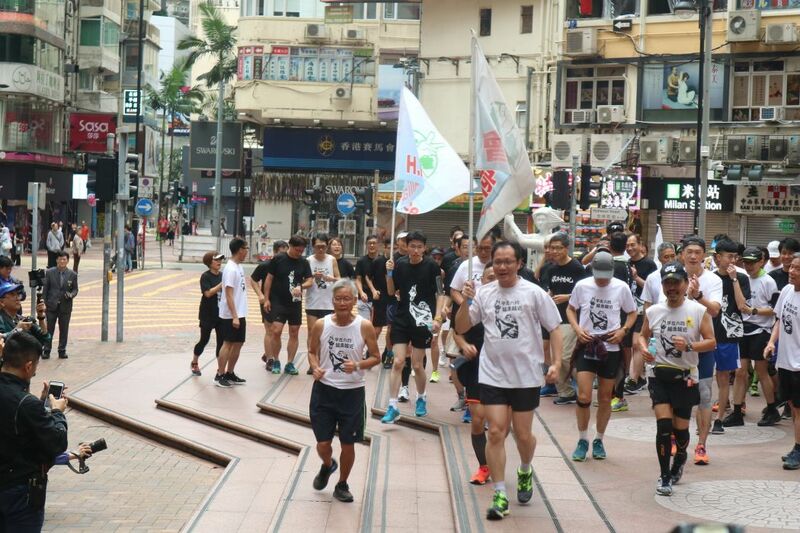 Organisers said that around 100 people joined the event, which started at 6:20am at the Tsim Sha Tsui clock tower. 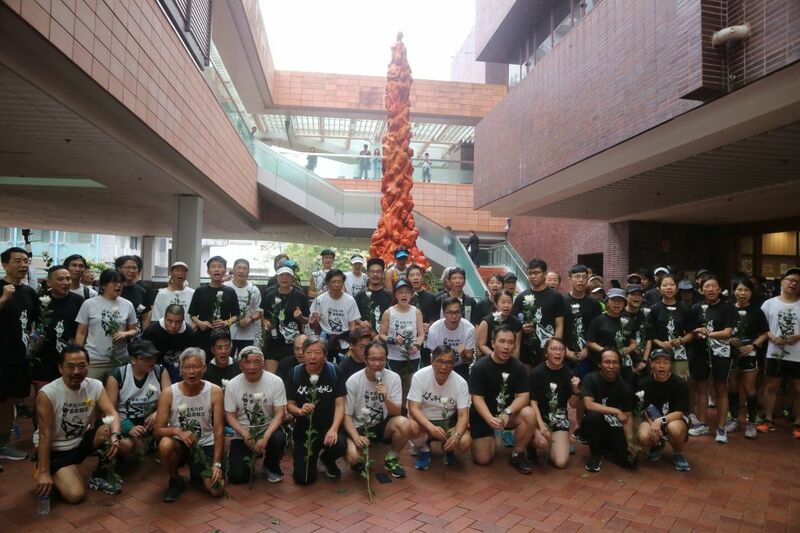 The 30-kilometre journey took the runners to Times Square in Causeway Bay, then to Admiralty’s Tamar Park and the Court of Final Appeal Building in Central. 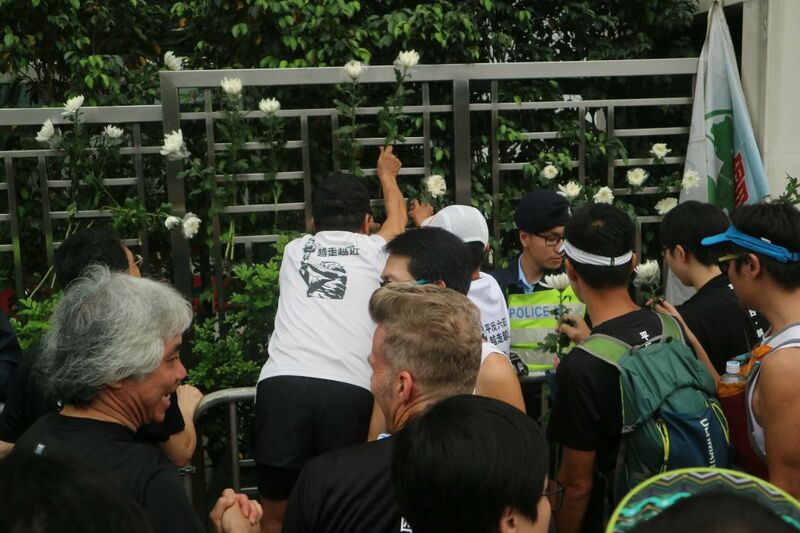 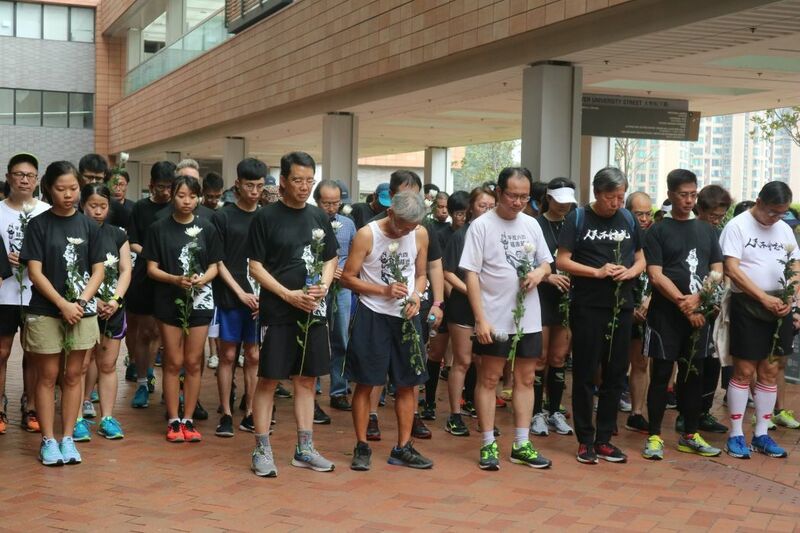 At noon, the runners offered flowers and had a moment of silence at the Pillar of Shame at the University of Hong Kong, which commemorates the victims of the crackdown. 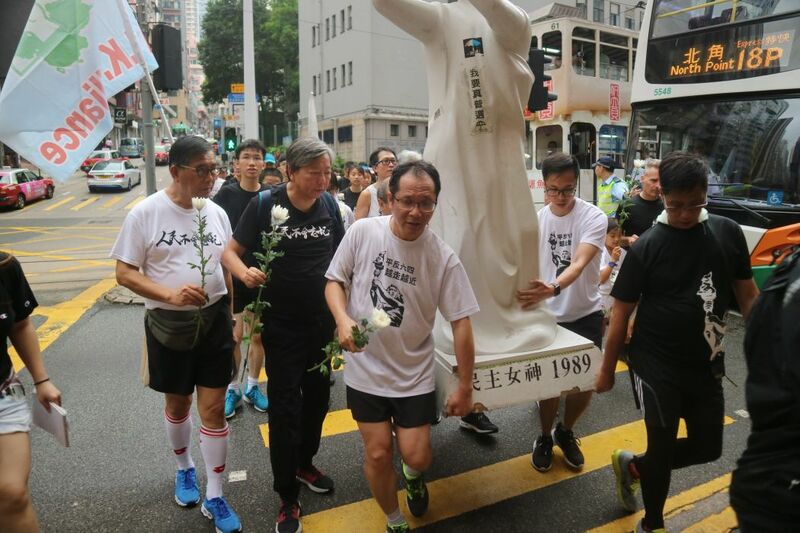 Retired sociology professor Chan Kin-man – one of the nine Umbrella Movement activists convicted by a court last week – showed up to support the runners, but was unable to participate because he was ill.
Organiser Richard Tsoi, who is vice-chairperson of the Hong Kong Alliance in Support of Patriotic Democratic Movements of China, said he was glad to see more young people joining the event, which is in its 15th year. 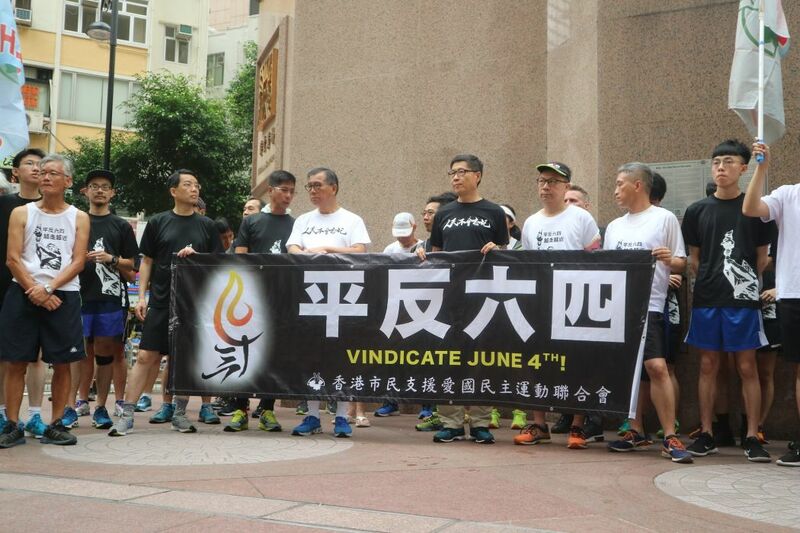 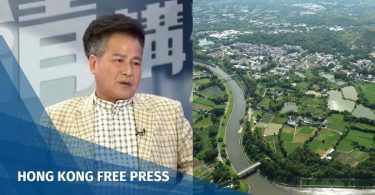 It was “heartening” to see young people take part since it “proves that the younger generation is still remembering June 4th,” he said, according to Apple Daily. 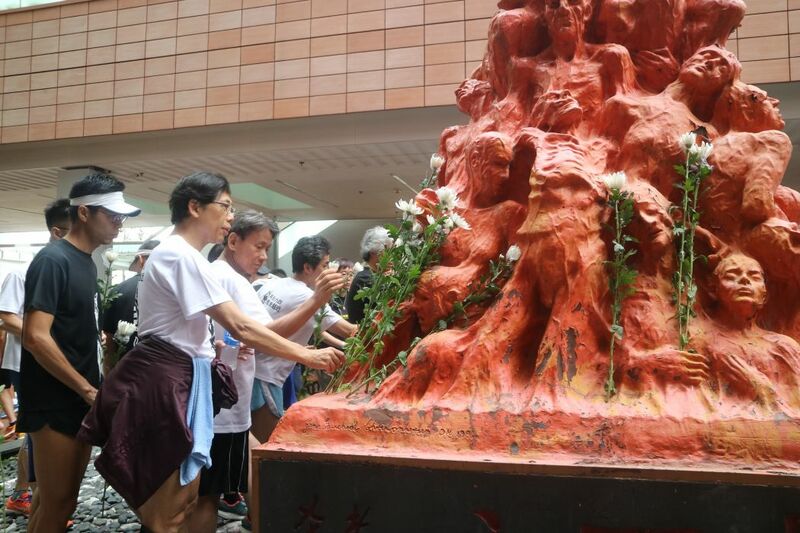 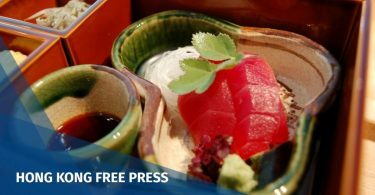 Choi added that the Hong Kong Alliance is hoping to open the museum commemorating the massacre later this month, despite the vandalism incident last week.